It's no secret that mankind is wreaking havoc on our planet. I’ve read that the BP oil spill in the gulf may destroy ocean reef and coral life. Here is a green burial option that could help rebuild the reef. The Afterlife - Is There Life After Death? I love this question! Let's hear it angels! My smart-alecky guides are bent over double in hysterics. What do you do now? You wander around. You think you have a purpose because you signed yourself up for a job, or the dishes, or the kids, and they're all waiting for you, now. Yeah? So what. The dead "walk around" without bodies. They are energy. You are energy. Today you see yourself as real but you are simply matter taking up space. You can look with your physical eyes in the mirror and validate that it's you. Because you recognize yourself, does that mean you exist? How can you prove you exist? By your credit cards, your bank balance, your appointment this week at the dentist? The fact that another being in physical form walks into your space and gives you a hug? What if you both made the whole thing up? Fun thought. You do the same thing when you're dead. Only you've left your body behind. Not only that, but your behind stayed with your decaying physical body. What you carry in your head and your heart continue. For you purists, the brain and the physical heart die with the body. Who you are, how you think, whether you allow yourself to love or not, lives on. Your consciousness lives on with your soul for eternity. In truth, it's impossible to kill you off. You just shape shift and create a deep mourning process for those of us left in a body who still love you and think you are gone forever. We should only know. We can't get rid of each other except by choice. The physical life of our third dimensional world gives you the opportunity to squeeze yourself into the narrowly constricting reality of the five senses. Your dead-life affords you the opportunity to enlarge your view of life by filling your spirit with the Light of the Divine. This is heady stuff. Imagine feeling safe, and loved, completely at home with every other being. Imagine there are differences, but you know intuitively that the differences mean nothing. It's like vanilla, chocolate or strawberry. You may have a preference, but one is not better than another. You gently merge with each other, still maintaining your sense of your self, but aligned completely with The Self. You know that you are complete, whole, and perfect, unable to separate yourself from the scenery, from God, from each other, and, more importantly, you no longer want to separate. You accept you are an integral part of life. You are as important as the bum on the street and the Divine itself. In this place of a life without judgment, we can be still and absorb the Light. We can choose to act as a guide for others. We can allow ourselves to be guided by others. We can continue helping others on earth see life through our expanded vision. 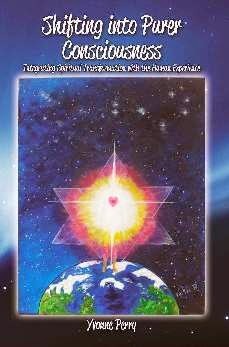 Our path is guided by the Universal Love that surrounds and fills us until we heal from the pain of the body. Then we are free to choose again. If we are ready to try on a new body with what appear to be new characters in each scene, it is up to us. If we have work to do on the other side, we can remain. If we choose to do nothing, and some do, we are free to do just that. Join LavendarRose on her weekly podcast, We Are One in Spirit, designed to bring understanding, unity, and respect among diverse spiritual communities everywhere. Airing on http://weareoneinspirit.blogspot.com each Thursday at 7 PM Central Time, spiritual topics of discussion include healing, metaphysics, energy modalities, Goddess worship, afterlife, near-death, and other spiritually transforming experiences. We are One in Spirit is the place to learn what all religious practices have in common: Our desire to be one with our Creator. Near Death Experiences - What Happens After We Die? Is Steve Irwin really guiding Bindi from the "other side?" Paul McCartney believes Linda's spirit lives on! What happens after we die? This is life's greatest mystery. Is there a life after death or is it something we have created in order to cope with the inevitable? There are those who have died and experienced a Near Death Experience (NDE), have returned and are now certain that we are so much more than our physical bodies. A NDE is usually described as a lifting away from the body and being able to view one's self from above accompanied by a euphoric calmness as the spirit travels down a tunnel with a bright light in the center and the certainty that there is another dimension once the light is reached. On the "Near Death Experience Research Foundation" website there is an account of an NDE recorded by Anita M. a cancer patient from Hong Kong who claims such an event took place as she "died" in hospital and doctors were frantically trying to bring her back. Drifting in and out of consciousness she could feel her spirit leaving her body. As she crossed over she felt this other dimension was actually the real world and felt free and powerful connected to something much greater, "I thought that I knew a lot more than when I was in my body", she says, "I was surrounded by loving beings, people who I seemed to know but I could not recognize from this lifetime and I was aware that they were around me all the time even when I was in the physical body and I didn't even realize then that they were looking after me all the time in the three dimensional world." She claims her awareness was so heightened she could hear conversations between her family and the medical staff 40 feet away, which she later verified, "It's not that I could see through walls, it's just that when I wanted to know something I could see it straight away, the understanding, the visual came to me immediately. There was no such thing as time lag or separation, everything was simultaneously happening at once and it depended on what I wanted to focus. Unreal as it sounds when I was there; I felt that was the real world, not the physical. There was understanding and clarity. If only I had known this when I was in my body. I was aware that I had a choice whether to go back and return to my body. Knowing that this was real I also knew that if I was to go back to my sick body that I would be healed immediately, my body would express what spirit now knows." Anita described her state as one of pure joy and that she was loved no matter what. She did not have to do anything to earn this love and this is something that stayed with her when she returned, "All I had to do was be myself. If everybody realized that you don't have to do anything, just the fact that you exist is enough, that knowing would alter your vibrations and this can subsequently change your life." The Rev. Gino Concetti chief theological commentator for the Vatican newspaper "L'Osservatore Romano" said the Catholic Church is opposed to the raising of spirits but claims communication is possible between those who live on earth and those who live in a "state of eternal repose", and suggested dead loved ones could be responsible for impulses and manifestations such as in dreams. John Hooper published the reverend's comments in the "London Observer Service" in January 1997. Her dead grandfather urged a college student to lock all the windows in a dream. She did so and discovered the next day that a room nearby had been broken into the previous night. The mother of 9 month old baby awoke one night to see her dead mother standing by her bed looking worried as she led her to the child's bedroom. The young mum checked on her baby and discovered she had been choking on a piece of plastic. A woman had a vision of her father who told her, "It is beautiful over here, I'm alright so don't you worry!" He laughed as he added," Now I don't have to pay for all the furniture your Mum and sister bought." A few minutes later she received a phone call informing her that her father had just died of a heart attack and received a letter not long after saying that her Mum and sister had purchased a house full of furniture on the night their Dad died. Does life indeed continue to a world beyond? The closest proof we have are only the recollections of NDEs such as Anita M's but there have been scientists investigating such phenomenon. As it was reported on BBC News in the UK, they say they have found evidence to suggest that consciousness can continue after the brain has ceased to function. Neurological experts have challenged these findings. Dr Sam Parnia of Southampton General Hospital in the U.K. says the consciousness is independent of the brain and no one can fully understand how the brain generates thoughts. Under examination the brain contains cells like any other who produce chemicals but there is no evidence of their capability to create the phenomenon of thought that we have. He says that the brain is needed to manifest the mind similar to a how a television set can transmit what are essentially waves in the air. There is skepticism from sources such as The Skeptic Society and Dr Chris Freeman a consultant psychiatrist at Royal Edinburgh Hospital in the U.K. Dr Freeman claims that these experiences possibly occurred during the recovery or just before cardiac arrest and there is very little evidence that they happened when the brain was shut down. Dr John Happs president of "Western Australian Skeptics" claims the following,"NDEs are quite commonplace and I have actually experienced them myself on at least two occasions. NDEs are very real and occur when the brain is starved of oxygen. The phenomenon has been well and truly explained in medical terms. The brain starts to shut down when oxygen is limited and peripheral vision slowly fails. That explains why people report a tunnel effect with a bright light in the center. That is exactly what I experienced when, as a competitor in judo tournaments, I was strangled into unconsciousness. 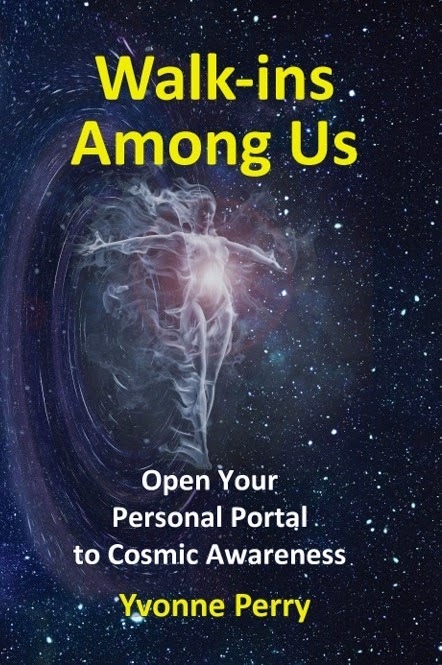 There have been many reported NDEs, as you might expect although few individuals would be aware of what is happening to them from a physiological perspective so they imagine they are traveling down a tunnel towards a bright light. Add a few singing angels and an imaginative link between earth and heaven and you have a great story." John Perkins from "Atheist Society", Melbourne, Australia says, "I believe the phenomenon exists, but not that it represents any evidence for, or experience of, an afterlife. Humans have minds, not souls. In death, the mind stops working. To believe otherwise is just superstition or willful self deception. If souls existed after death, there would be 100 billion of them hanging out somewhere, for ever. Would you really want to go there?" The one thing that seems apparent is that there is "something" controlling the universe such as nature itself and it is a difficult concept to understand that a person's essence can just die. Birth and coincidences may well be real miracles, although there is scientific and rational explanation for both. For most, it is part of the purpose of life to continue to question the meaning of our existence and to strive for the realization that we are lovable just because we exist. It is certainly something worth pondering and who knows? Perhaps if we practice a little more kindness each day our "vibrations" may lift enough for us to perceive some answers. Or at least we would be working towards making this world right here a better place. Life After Life Dr Raymond Moody, Jr., M.D. The process of dying is one of the great stages of learning of the human soul, often met with fear and resistance, yet even in the presence of these, filled with the growth of the soul in its appreciation of its relationship to life. There is no one way to experience dying so that it produces the maximum amount of growth. For some, the sense of flow from one aspect of life to another is intuitively felt, even if nothing in the earlier stages of life has been articulated as a spiritual belief about the afterlife. For others, there is a well-defined understanding and sometimes experience of the continuity of life, so that apart from the pain or discomfort that may be present during the final stage of physical life, there is no fear. For still others, there is a sense of confusion about the end of life - a perplexity about anticipating non-existence. Often, the idea of death has been imposed on the psyche from the past and includes the notion that there is a kind of black-out of consciousness in which everything ends. And yet, even though this may make sense to the mind, it is perplexing to the heart which cannot comprehend such an idea. Over and over again, a person who is trying to make sense of the experience of dying is pondering the question of what happens next, whether they are actively doing so in a conscious way or not. It is the main question of the last stage of life for many, especially for those who have not yet come to a conclusion which leaves them with a sense of peace. Even in the presence of denial concerning death's approach, or of anger that life has been 'cut short', or in the presence of the desire to just keep living without any thought of the future - even in the presence of each of these attitudes, the underlying process of trying to deal with the perplexity concerning the end of life is taking place. For those who have inherited a family configuration in which caring for elderly parents is very much part of a central aspect of living, it is very important to know how to be with the dying process in the elderly. And for those who are simply loving the ones who are preparing to pass out of their physical existence, it is also important to know how to be with this stage of experience and of life. What is crucial to remember and to trust is that the process of learning and of absorbing the meaning of death and of life is happening even if the elderly parent or loved one gives no sign that this is so. It is happening on the level of the deeper consciousness or soul, even if it is not happening outwardly or in a way that can be articulated. The deeper self is reaching out toward light and truth, and though the outer self may not understand that there is an answer to the question of "why?" - why death, why life - the inner being knows that there is. For some, the process of dying is the most central experience of life, however it may appear externally. It may be that life has been lived fully, with relationships, family, a productive work life, and experiences that have been rich and alive for many years, and at the end of life that there is more and more limitation and restriction of activity. At such times it may seem to an observer and also to the one who has become very limited physically, that life is not being lived fully any more because of the cessation of physical activity. This is never the case. The shift has simply been made or is being made from a physically observable living of life with outer events that can be marked, to a less observable or invisible inner life that is being refocused around the question of life and death. What causes anxiety or distress in those who are witnessing this shift is the hardship of the limitation of the physical activity and functioning of the aging and dying person. What would relieve this distress to a considerable degree is the knowing that the dying process is taking place successfully, no matter what the outer manifestation that is occurring concerning actively dealing with it. 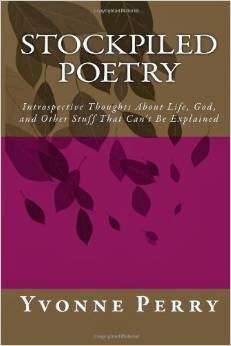 Some things can be processed more easily through the mental aspect of comprehension and articulation of ideas, and some things must take place below the threshold of awareness in a place that joins mind and heart in a synergy in which both are trying to feel their way into a new experience and into a new understanding. The positive support of those surrounding an elderly person who faces death is of great importance in all situations, for what can get transmitted through this loving support may not be ideas about death and the continuity of life, but the feelings associated with such beliefs of hope, of safety, of trust, and of peace. These feelings can be transmitted without words. They exist in the heart and in the deeper knowing of the soul, and so even without active conversations with loved ones, these deeper feelings and attitudes can be conveyed with benefit. In the end, each person as a soul must go through the passage from physical life in their own way and with the experiences they are ready to have. The time can be a rich one and even a joyful one for one who knows that they are on the verge of experiencing an expansion of life's possibilities, rather than a diminishing of the reality of existence. For such a one, the prospect of dying has the feeling of going home to something familiar, even if not known, and can be a place that one anticipates visiting or entering with a sense of peace and with a deep sense of homecoming. For those who are not yet ready for this perception and preparation, it is often the experience of dying itself, even within the last moments of life or at the time of the last breath, that conveys the truth of the continuity of life to the departing soul. These moments of passage are an experience all their own, and no matter what has led up to them, a soul is capable of a profound amount of awakening and of new learning at the time of death's completion. For this reason, it is important to greet the passage from physical life as a journey with many parts, and to know that the final part, the moment of the soul being exhaled from the body, may be the last breath of physical life but the first real knowing by the soul that it will not die, but that it will live and continue into ongoing life. 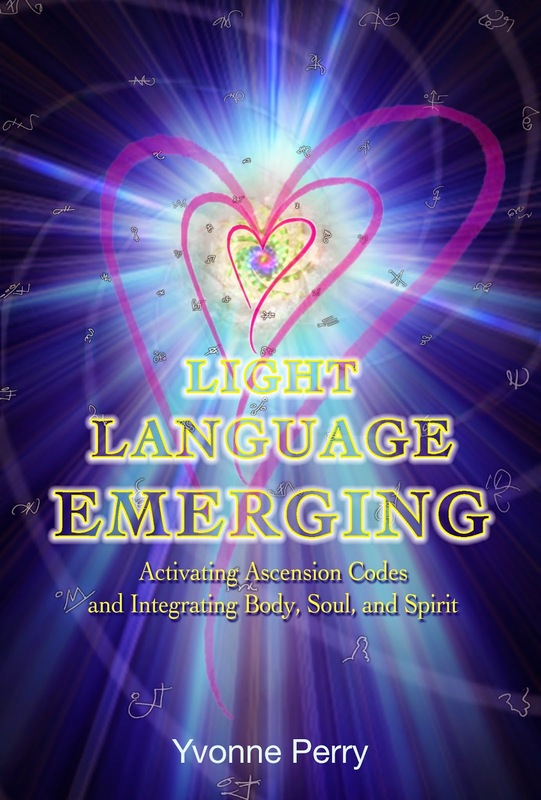 For additional writings by Julie Redstone and Messages by Request see Pathways of Light. For more about the perspective of the soul, see the Calendar of 100 Days and other Calendars offered within Pathways of Light. In 2008, I had the privilege of serving as the developmental and copy editor for Carl David’s book, Bader Field. The book is named after the airfield that launched Carl and his dad to the skies where they enjoyed hundreds of flight hours reveling in their distinctive father-son bond that included a shared love for flying twin-engine airplanes. Bader Field allows a reader to see the inside impact that the suicide of a loved one has on an entire family and how much spiritual strength it takes to move past such devastation. 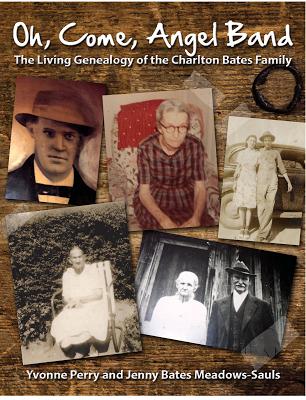 After reading Bader Field, you will feel as if you have known the David family all your life. You may even feel like part of the family and be tempted to refer to Sam David as "Pop." He might even visit you in spirit as he did in the following story excerpted from the book. It was August 5, 1973, the day we had to bury Pop. The funeral was scheduled for 10 a.m. at Levine's on Broad Street. My stomach was a mess and I’d been floating in and out of reality. “Carl, please take one of these,” Mom begged. “It's just a very mild tranquilizer; it'll calm you down.” I wasn't big on drugs of any kind—perhaps an occasional aspirin or antibiotic when all else failed—but this time I felt it would get me through the events of this dreaded day. “Okay, I'll take one.” I suppose it helped, but I didn't notice the effect of this miraculous substance designed to dull or numb your emotions. The black stretch limousine was waiting downstairs in front of Mom's apartment. Arm in arm we escorted her off the elevator and through the manned front door into the signature transport. In an all too brief twenty minutes we arrived at the funeral parlor. Mom, Alan, Arlyn, and I had the option of seeing Pop one last time in a private viewing room before his casket was closed for good. Alan and Mom chose to view his body; I declined. To look at his lifeless shell was too painful. I needed to remember him in life as I'd known him; the vital force of energetic spirit who had become my hero through my years. I knew that if I'd taken that final look, that's what I would see every time I thought about him. Life was for living and I would go on with the strength of the memories that we'd built together. There were hordes of people coming in to pay their respects. The crowds swelled out into the street as the doors bulged with his honor. Friends, family, business acquaintances, and even nearby strangers were drawn by the hundreds to partake in this farewell to a dignitary, a head of state; even if the political system hadn't recognized him. Everyone who had come in contact with him either directly or indirectly would reverberate with the tremendously hollow vacuum in their lives as the soul known as Sam David left for higher grounds. My only regret was that his stay here was but too brief. The onslaught of respect payers was so persistent, the eulogy was piped through the hallways and lobby so that those who couldn't squeeze through were able to partake in Pop's memorial. Rabbi Martin Zion, who was Pop's best friend, performed the eulogy which was stunningly beautiful. I don't know how he made it through without breaking down. The flow of tears never ceased in the chapel that morning. After the service, endless lines of people expressed their condolences to us. It was very rewarding to see the immeasurable reach of his omniscient love. As we drove in the limousine to the cemetery, we began to recount the wonderful and silly experiences we'd shared with Pop as a family. They were too numerous to gather but many stood out in our minds and gave us great comfort. Too many families would never have the reward of such unconditional love, friendship and warmth that we were fortunate enough to have enjoyed. We would continue to live life as soon as we felt ready. That is what he would have wanted for us; to take every day to the fullest with no regrets in the end. I took great solace in knowing that even though he wasn't in the physical, he was within reach in the spirit world. It took an uneasy thirty minutes to get to the burial grounds where so many empty shells lay silently at rest. The labyrinth of concrete and limestone monuments was confusing. After a bit, they all looked the same, only the names changed. Amidst a row of ordinary headstones and grave markers a miniature skyscraper built in special recognition of some lost soul would occasionally protrude skyward. Seemed like a perfect waste of time and money, but I would never presume to impose my beliefs onto anyone else. Tires crunched on the narrow gravel pathways as they twisted and turned. Soon we arrived at the final destination where my father's vacated body would be interred. Opening the doors, Alan said, "Here we go." “I'm all right,” she whispered softly as she steadied herself, holding onto Alan on one side and me on the other. We walked to the dark green tent which covered the newly dug grave upon which the casket was placed on leveraged straps which would lower it into the concrete housing below after we left. There was a brief service with Rabbi Zion at the helm administering the traditional prayers and a brief but lovely final farewell to a great man. The sun was pitching its warmth upon us and all was silent. Then, we heard the wonderfully familiar sound of a twin engine airplane circling directly overhead. It was a harmonious sound that only Aztecs made; there was no mistaking it. Looking upward into the most blue of late summer skies, was a red and white Aztec. Mom, Arlyn, and I instinctively looked at one another, nodded with acknowledgment and smiled with tears in our eyes. It was Pop and we knew it with more confidence that we'd ever known anything in our lives. He wouldn't have missed his own funeral. He was obviously a master of projecting his consciousness. As quickly as the Aztec above had appeared, it vanished. Then, a few moments later, it reappeared. My family acknowledged it as an ever-consoling presence of my father. “Yep, it was Pop all right. Can you believe it, an Aztec overhead at the cemetery? How incredible is that? If that isn't a message, I don't know what is!” That is one presentation that I will never forget; it was stunningly real! In those days, I had no notion of “living dreams” as they are called, but I was well aware of what they meant. Pop was telling us not to feel bad. He was free and still flying, but he'd be on his own as he made his way to a better place. The crushing pain of his major coronary was merely a release from the binding grasp of the physical which imposed its limits according to the laws of this worldly dimension. We would meet again in a much freer environment. There is no such thing as death; only a change in form as we leave one world and enter another. The only remnants are the fleshy bodies which identified the soul which resided within. The body is a vehicle for movement, for gathering of earthly experiences, for a full range of emotions, for a total collection of situations, obstacles, and solutions as they are overcome. It is the building which houses our black box; a permanent record of events and lessons which will be taken to the next worlds as we are ready to enter them for the continuation of our education. The curriculum never ends; it just changes format with each accumulation of knowledge from the preceding realm. Green burials are done with the goal of returning the body to the earth so that it can be naturally recycled through uninhibited decomposition; green burials are intended as economically sustainable alternatives to traditional funeral practices. In most cases, the body is not embalmed and is placed in a biodegradable container (for example, willow), then interred directly in a grave without a concrete liner. The first green cemetery, Ramsey Creek, was opened in 1998 by Billy Campbell in South Carolina. Since then, an emerging new movement for simpler, more environmentally friendly has resulted in a variety of alternatives to traditional funeral practices. Cremation is also considered to be a green funeral practice, because although energy is consumed to burn the body, its footprint is so small and its byproducts so marginal that it is generally accepted as a green practice. Caskets - 30 million feet of hardwood, 90,272 tons of steel, and 2,700 tons of copper/bronze. Clearly, over time these practices will prove to be unsustainable as more and more land is consumed to create cemeteries and more and more of material resources, such as woods and metals are buried in the ground along with our dead. Cost is also a factor, considering the average cost for a traditional funeral is approximately $6500 to $8000. Green burials cost substantially less, especially if the body is to be cremated and the family decides spreads the ashes spread instead of interring the body. We have the only green burial offering in the state of New Hampshire that approved by the Green Burial Council. Are There Green Alternatives to Interment? In addition to simple interment or cremation, there are a number of creative alternatives for cremated remains as well. For example, one company, Celestis, can send a lipstick-sized container of cremated remains into space. They offer several choices for the containers, including orbit with return, release into the orbit, lunar release, or release into deep space. 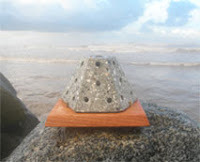 Eternal Reefs incorporates cremated remains into an environmentally safe cement mixture, using the mixture to create artificial reef formations that support new marine habitats for fish and other sea creatures. They have placed over 300 memorial reefs throughout the east coast and expect them to last approximately 500 years. As the green burial movement continues to gain popularity, there are more and more green cemeteries appearing in the United States. Since 1998, the number of green cemeteries has gone from 1 to 12, operating in 10 states with 4 more are under development. We have seen an exponential increase over the last few years in green burials at our facilities, so it is certainly clear to us that the green burial movement is here to stay. Burial at sea services or sea burials are available at many different locations and with many different customs, either by ship or by aircraft. Usually, either the captain (or commanding officer) of the ship or aircraft or a representative of the religion performs the ceremony. Legally, a captain can bury remains at sea, provided that environmental regulations are satisfied. In the U.S. ashes have to be scattered at least three (3) nautical miles (3.5 mi / 5.6 km) from shore, and bodies can be given to the sea if the location is at least 600 feet (200 m) deep. Special regulations may also apply to the urns and coffins." Another form of sea burial that is gaining in popularity due to it's ecological benefits is to have your ashes made into an artificial reef. These reefs are deployed off the Coast of San Diego/Mexico and also in the warm waters of beautiful Belize. A non-profit company on the west coast called My Living Reef, lovingly preserves the ashes of the departed by incorporating the cremains into an organic and marine friendly compound. This compound is cast in a reef mold and is left to cure. The end result is a reef "structure" that is scientifically designed to mimic the habitat of hundreds of species of marine life. These reefs reduce species extinction rates, enhance marine biodiversity, and they help to restore over fished waters. Historically, burial at sea meant to simply dispose of the body by leaving it in the open ocean. This practice was necessary due to the facilities on board vessels that may be at sea for more than a year or more. Environmentally, this practice is conducive to marine ecosystems due to the nutrients the body provides. This practice is largely outdated and with the growing popularity of cremation on the rise, transforming the ashes of the departed into something environmentally beneficial is the next eco logical step in the burial industry. Some patients are ready to go when death comes knocking, but they are so concerned with the ones they are leaving behind, they can't let go and drift off to whatever awaits them on the Other Side. In my interview with Dr. Milstone he mentioned that he has seen repeated cases where a patient has, through false hope or denial, clung to life in order to get to certain events such as a wedding anniversary, a holiday, the marriage of a child or a trip somewhere. He mentioned instances where the patient died within hours of having been told the truth about the seriousness of their condition. Likewise, it may be helpful if the family or you as a hospice worker let the patient know that it’s okay to go. When I spoke at Atlanta Hospice last month, Barbara Moore mentioned a patient who was ready to die, wanted to die, but kept hanging on. Barbara intuitively knew what this patient needed. He needed to know that his daughter would be okay without him. He needed her to tell him, "goodbye." When the daughter came to visit, Barbara asked her to speak with and to tell her father that it was okay for him to go. "I can't do that," the daughter said. "You have to," Barbara insisted. "He's suffering, he's ready to go, and he needs your permission to depart." Reluctantly, the daughter did as Barbara asked. Ten minutes after the daughter left the center, the man died in peace. If you are tending to a patient that you know is holding on because he or she believes you or someone else needs or wants them to stay, please consider giving the patient permission to depart in peace. Here are some ways you can verbalize that in a positive manner. "You've been a valuable person in my life. You have taught me how to take care of myself. I want you to know that I'm going to be okay when you go. It's okay to go whenever you feel ready"
"If you are holding on because you are worried about me, I want to release you from your fear. I will be fine and I hope that when you are in the afterlife, you will visit me to let me know you are doing well. Then, you'll see for yourself that even though I may be grieving, I am going to be just fine." "I know you are staying because you love me, but it would be selfish of me to make you stay in your body when your soul is ready to leave. I love you and I give you permission to go and reunite with your loved ones on the Other Side." "I appreciate all the love and support you have given me in this life. You have been a great example to me. I want you to know that I will continue to show love to others even after you leave me. I bless you to find peace in the hereafter." "If you feel it is time to go, I will not hold you back. I trust you will relax now and allow yourself to find the joy and peace that awaits you in the afterlife. I know we will see one another again one day." 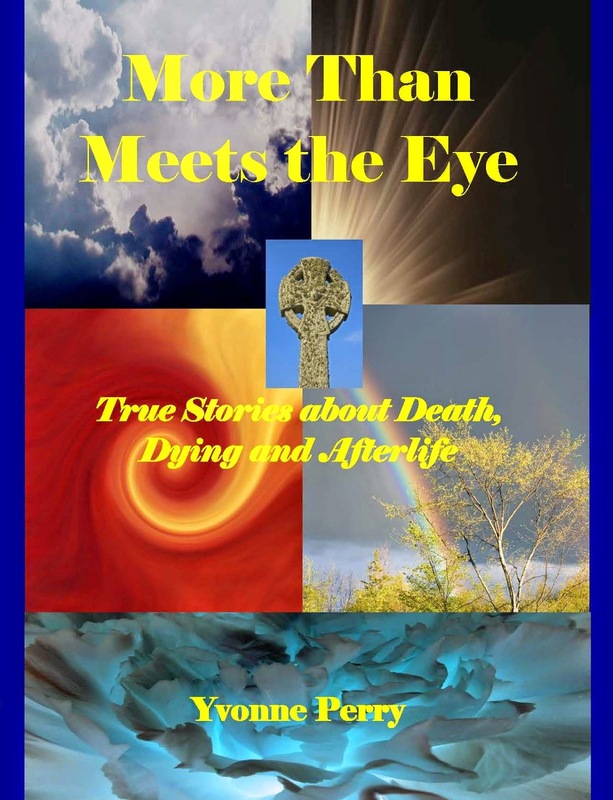 For more information, you might enjoy reading the complete book, More Than Meets the Eye True Stories about Death, Dying, and Afterlife. Life and death are not random events; they are choices we make at a soul level. What we do with our life is our choice. By the same token, dying is also a choice! It is my belief that God does not infringe upon our free will or tell us what to do with our life. Instead, we are gently allowed to learn at our own pace, have an experience different from what is commonly accepted as the “norm”, and make our own decisions—even if we choose to return to Source. God does not take our loved ones from us. I believe that before incarnating , we agree to living a certain number of years here on Earth. Some make choose to end it sooner through suicide; but we all make choices regarding what we eat and how well we care for our physical, mental, and emotional health. My grandmother has never being one to whine or complain, but she was clearly giving up the will to live when she was hospitalized last September. She experienced a huge increase in communication with those on the other side and I was certain she would be leaving us. She wanted to go, and even begged Jesus to take her, but she could not depart. We gave her permission to leave or to stay, reminding her that we would always love her either way. However, we made it clear that if she decided to stay in her body, she would be expected to put forth a whole-hearted effort to recover. We would keep her as comfortable as possible, but we expected her to cooperate by eating, taking her meds, and participating in her rehab. 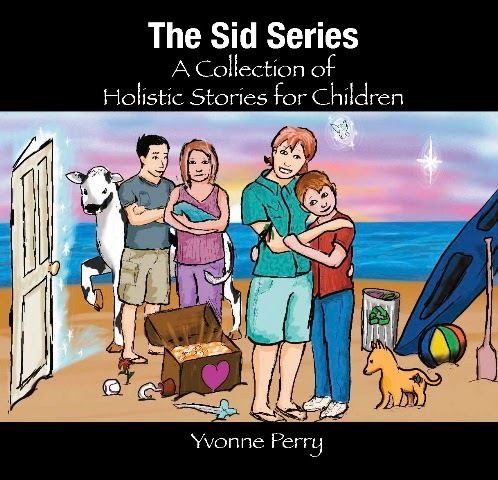 Once Nanny made the choice to live, her body cooperated and began to heal itself. Today she is able to get from her bed to her chair in the living room where she sits and interacts with the family most of the day. When I visited last month, Nanny wanted me to notice how hard she had tried and how much she had improved. How precious is that? I found our role reversal humorous. She practically raised me, and I always wanted her and my mom to be proud of me! It's amazing that she, at 94 years old, wants me, her adult granddaughter to be proud of her. What does that say about a human's emotional needs? I'm not a psychologist, but I can see how much our love means to one another—especially the elderly. I'm not here to put anyone on a guilt trip, but if there is something you can do to comfort a loved one today, please take a few minutes to write a letter, make a phone call, send a card or gift, or arrange a visit. You will be surprised how much you actually receive by giving. There is a difference between cure and healing. Cure means that the disease no longer exists. Healing is the art of demonstrating compassion. It can mean helping someone resolve guilt, mending a relationship, helping a patient through the grieving process, restoring his or her self-worth, offering comfort, allowing a patient to die with dignity and peace of mind. Hospice gives a patient the chance to talk about the things that they cannot discuss with family members. Being a good listener is so important. If you are an energy worker, end-of-life patients can benefit from your services. Have you considered volunteering as a way to apprentice and practice your skills of sharing loving energy? By providing hospice service to a person who is experiencing isolation, loneliness, and even abandonment issues, YOU ARE A HEALER! Your interaction as a hospice worker has a strong influence upon the patient and the family.